Mr. Pandey, a Theosophist visiting from India, will speak on Ageless Wisdom, also called Ancient Wisdom or Perennial Wisdom/Philosophy. His talk is free and open to all. Ageless Wisdom gives basic knowledge about the human constitution, the purpose of life, evolution, how to expedite evolution, the process of death and after-death states, the purpose of reincarnation, yoga/meditation/prayer, God and life, sleep and dreams, how to live life in light of this wisdom, etc. It helps men and women to know themselves, and take their life in their hands – helping their own evolution, as well as the evolution of entire humanity. 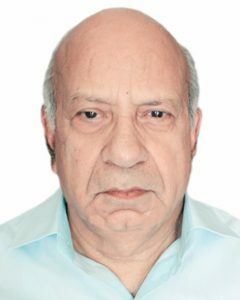 Mr. Pandey is a life-long Theosophist. He has given talks in Australia, Singapore, Pakistan, Indonesia and the United States. He is currently Secretary of the Uttar Pradesh Federation of the Indian Theosophical Society, and also directs study camps for the Integrated Development of children.